99% organic, only natural ingredients. 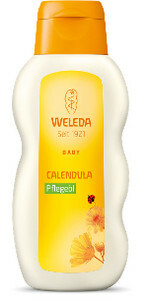 Soothing, warming and especially formulated with calendula for sensitive baby skin. Moisturizes, nourishes and prevent dryness.